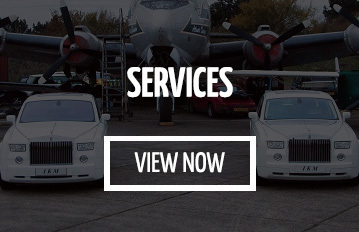 Why our Porsche Hire Services? Famous for its extravagant beauty and rich interiors the Porsche Panamera rightly showcases the person wealthy status and class among the society. Founded in 1931 by German automobiles, Porsche manufactures high-performance and renowned sports cars, SUVs and sedans. Porsche is greatly associated with its superiority and excellence. The famous car brand Porsche is almost the synonyms to all other high-quality automobiles. The decadent and luxurious Porsche are worth enough to grasp the attention of everyone in the event. The extravagant Porsche car gives the feeling of VIP and travelling in luxury with all the powers and novelty. The ingenuity and artistry of Porsche are also acknowledged by other car manufacturers, even the world famous bike brands such as Harley-Davidson has also been accommodated by Porsche in designing the new engines for its new products such as V-Rod Motorcycle. All parts and accessories of Porsche cars are designed individually for a particular car model, structure and appearance. For example, the wheel and steering of a particular Porsche model does not fit with other models of Porsche cars. The accessories or parts are unique for every Porsche car. The term Porsche means small sausage (German) and pig (Latin). The full-form of word Porsche is Proof of Rich Spoilt Children Having Everything. What makes Porsche Panamera extravagant: MME Prestige Porsche Car hire? The Porsche Panamera is the most expensive Sedan ever. It is a four door spacious luxury sedan mounted with front-engine with two wheel drive. The first model of Porsche Panamera was launched during the 13th Auto Shanghai International Automobile Show in Shanghai, China in April 2009. The Panamera appears with a long hood, and a rear hatch resembles a 911 stretched. Porsche Panamera is loaded with elegant interiors, modern technological facilities and breathtaking expensive leather upholstery. The Porsche Panamera has been constructed seventy-six inches wide in width. It stands at 55.8 inches in height and at 195.7 inches in length. What more to look for MME Prestige Porsche Car hire? The four-door Porsche Panamera exhibits an exemplary operation with 4.8 engine. The maximum speed of the car has been set as 285 KMPH, in just five seconds. Another unique feature of Porsche Panamera is its integrated rear spoiler. The spoiler does not work until you reach the speed of 70 to 90 Kilometre per hour. But once you arrived this pace the spoiler will start showing, and at a higher pace, the spoiler will begin to split between two to widen up and manage the balance on the road. Porsche Panamera comes with excellent stability. Porsche Panamera is available in many elegant colours such as Carmine Red [Red], Agate Grey Metallic [Grey], Amethyst Metallic [Purple], Chestnut Brown Metallic [Brown], Carrara White Metallic [White] and Chestnut Brown Metallic [Brown]. Porsche Panamera sedan is well-known for its uniqueness, style and classy appearance. Top 10 Wedding Cars in U.K.
We are also able to offer a wide range of executive cars, stretch limos and party buses to hire at very competitive prices throughout UK!